I thought it would be fun to add just a touch of Christmas to the Loft aka Girl Cave/Office. I spend a lot of time in here working on my computer, so a bit of Christmas Decor seems like a great idea. Most everything is concentrated downstairs, but I had a few things left over, so I spread a little Christmas Cheer around in here. 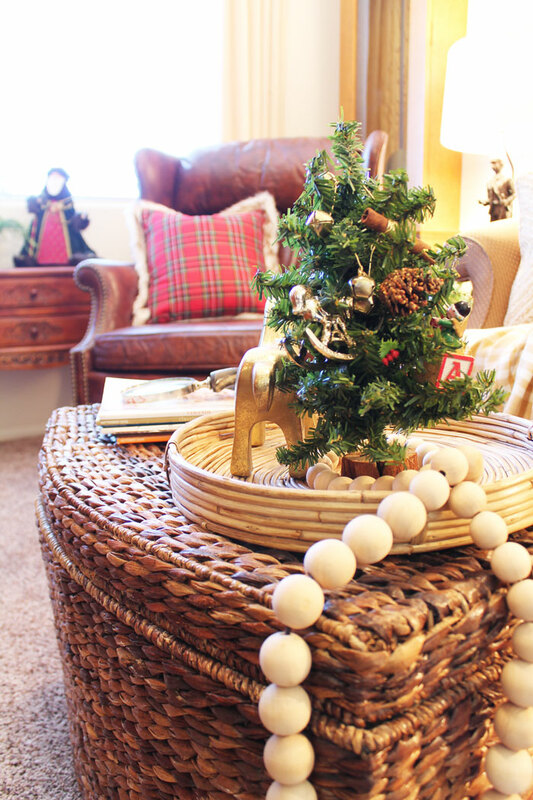 This little tree is so special, it has always been my "Childs" tree. 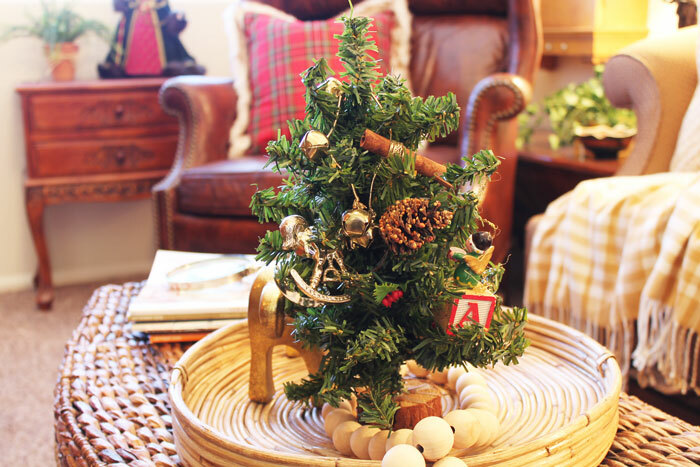 I love the blocks, rocking horses and bells on this tiny tree. 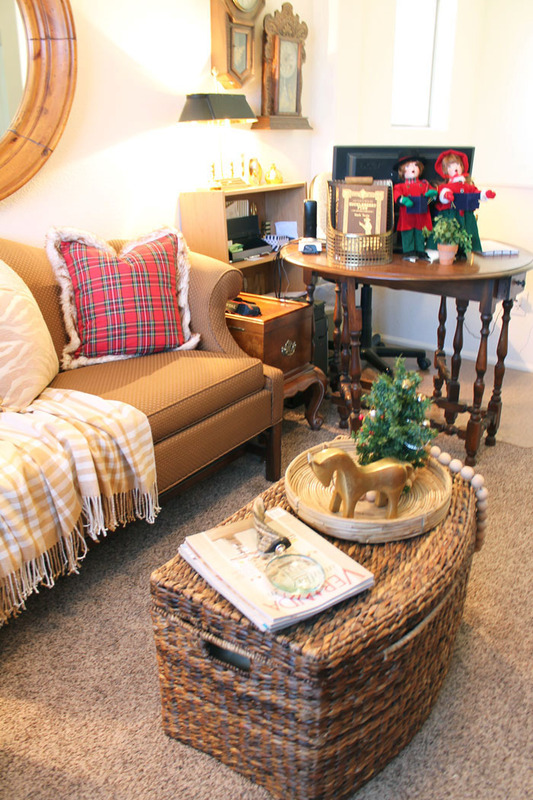 These plaid and fur trimmed pillows I used last year in the family room work perfectly in here. 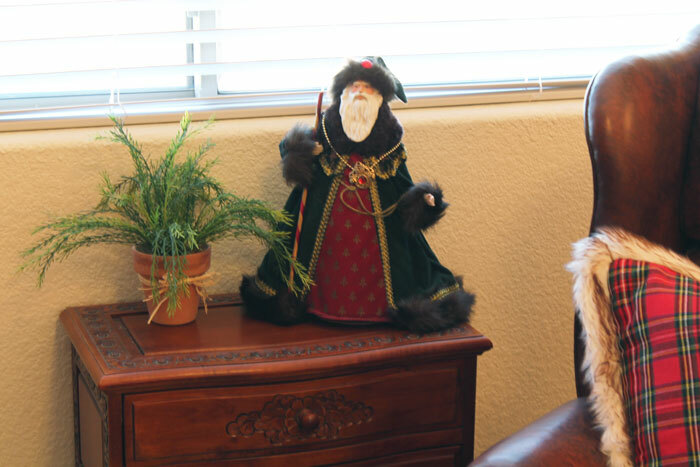 This Old World Santa just seemed to fit the room too. 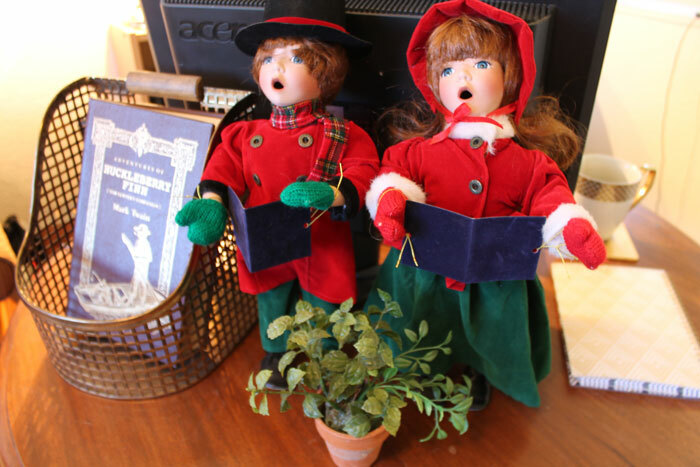 I love my little carolers and they look so nice and happy on my desk. I can play my music and pretend they are singing to me. Aren't they the cutest little boy and girl. He has on a red scarf that matches the red plaid pillowsl. This was so fun to use up some of my Christmas from last year in a new way. 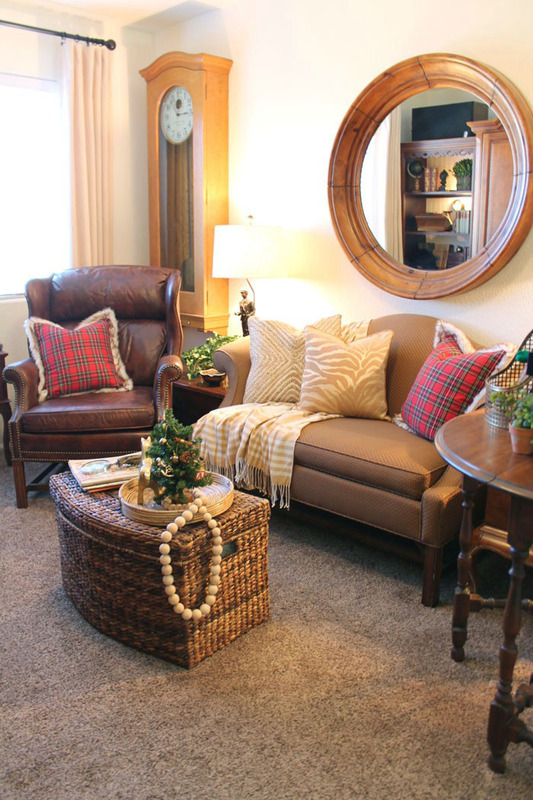 It doesn't take a lot to make a space feel like Christmas. 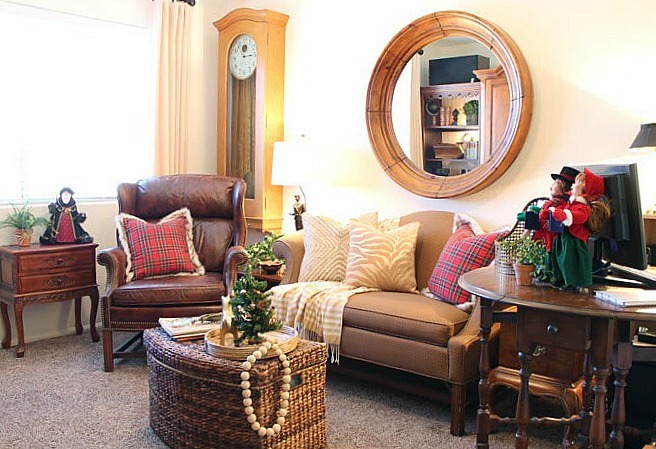 With Christmas music playing or a Hallmark movie on the TV, I definitely feel like Christmas when I am in this room. Don't forget to enter my Christmas Giveaway. 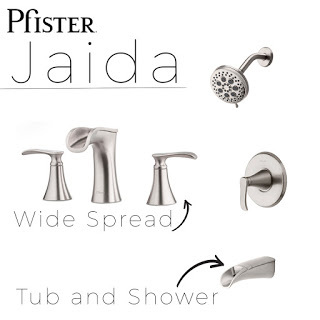 A beautiful new faucet from Pfister. Now to finish up and get the big tree done downstairs, time is funning out. How about you, are you almost done? Love your little carolers so adorable. Love your girl cave getting decked out for Christmas too. Really Pretty Marty. Have a great Thanksgiving tomorrow and then we are on the down hill slide into Christmas. Your room looks so inviting. I was admiring the decor.